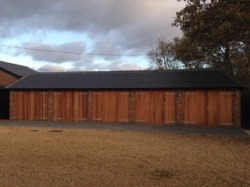 We can make a variety of bespoke custom made hardwood garage doors, from a simple up and over to a classic pair. Need something bigger? We can also make bespoke barn doors, to suit any size.